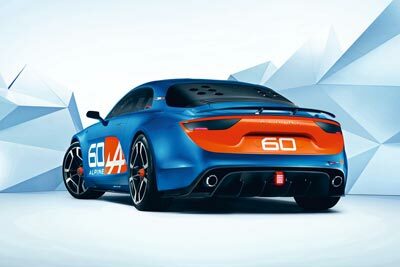 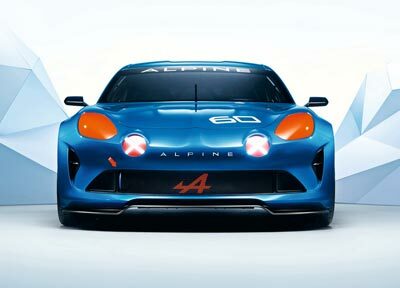 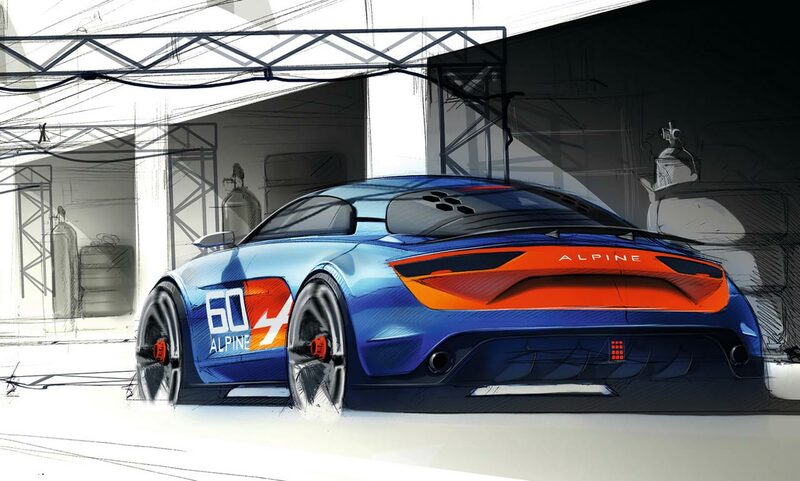 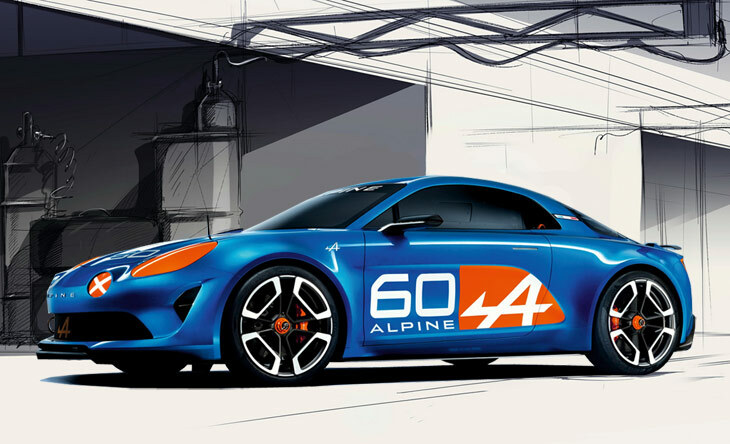 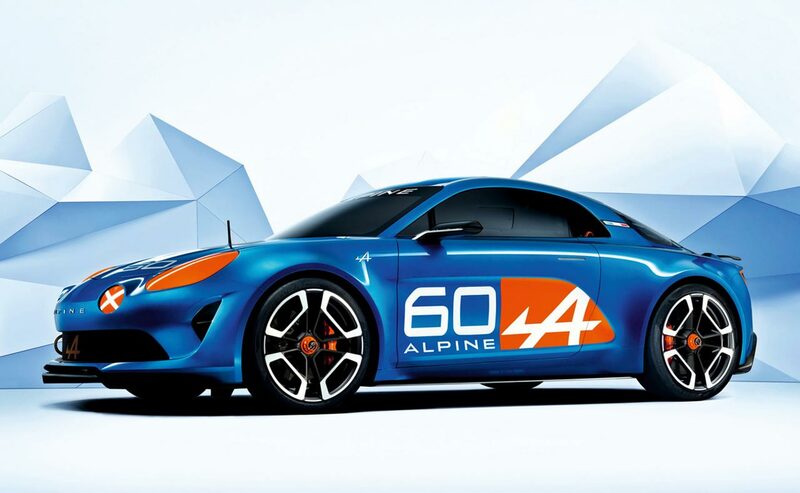 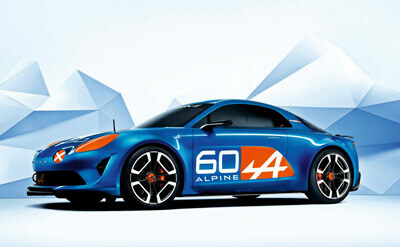 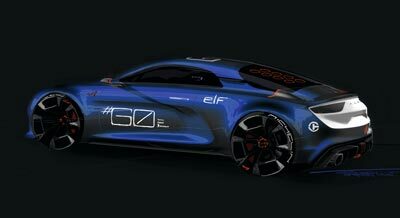 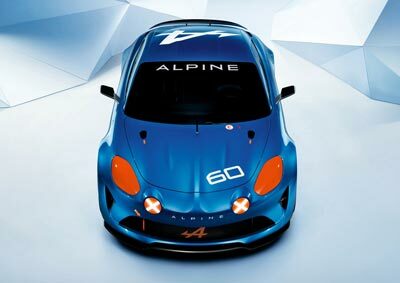 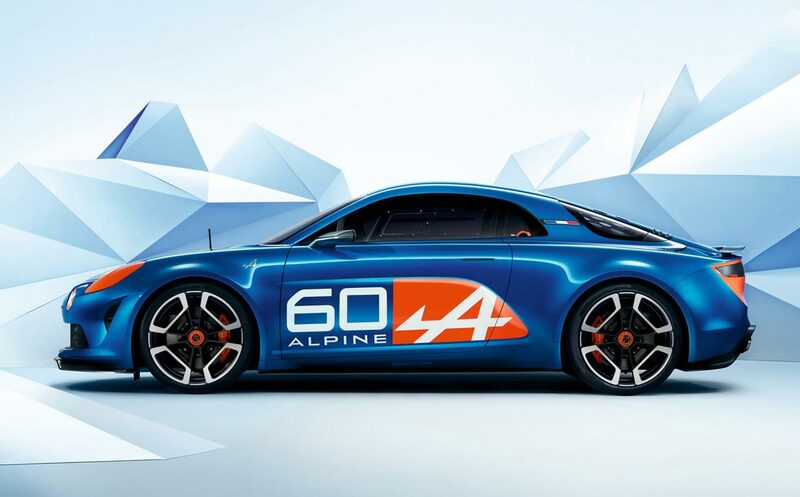 To mark 60 years of the Alpine sub-brand, Renault developed the 2015 Alpine Celebration concept. 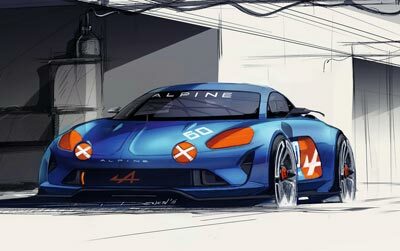 However the car is not just a commemorative one-off, it is was also designed to act as a preview for an upcoming production sports car. The two-seater Alpine Celebration coupe features styling inspired by some of Alpine's greatest models from the past, most notably and obviously the Alpine A110. 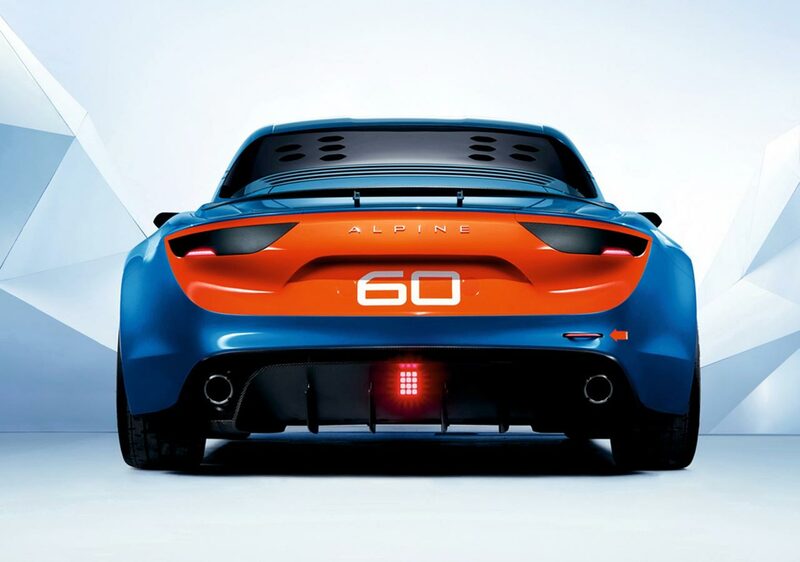 This influence can be seen in both the front end, where the inset driving lights have been integrated into the design, and at the rear with the distinctive curved and sloping roofline and rear window. 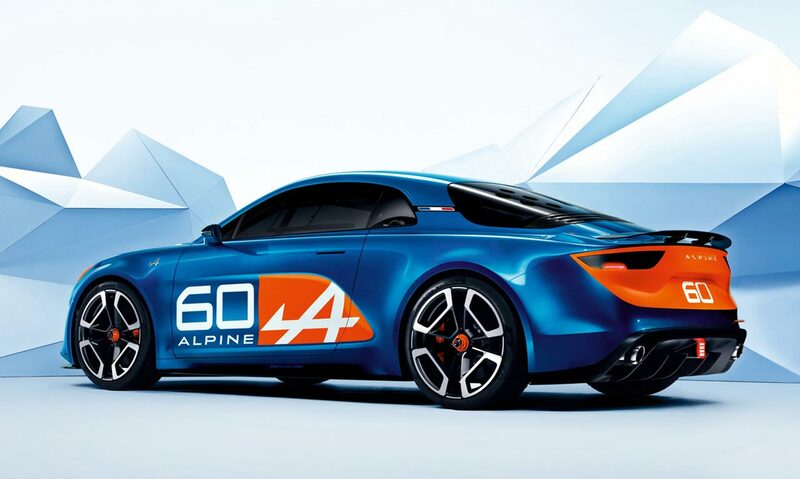 Even the wheels have a retro style similar to Alpine models from the '70s. 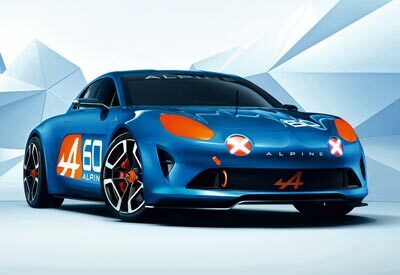 The paint scheme of the Alpine Celebration concept also recalls past Alpine models with its gorgeous deep blue complemented by striking orange accents. Carbon fiber has been used in numerous areas, including the rear wing, side sills, rear diffuser, mirrors and air intakes. 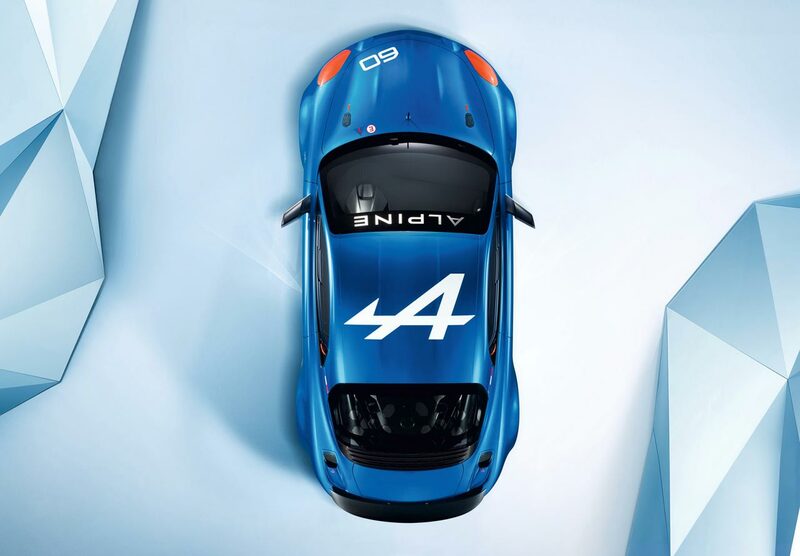 Details regarding the drivetrain of the Alpine Celebration have not been specified. However the car does feature a mid-engine RWD layout which should make it through to production.